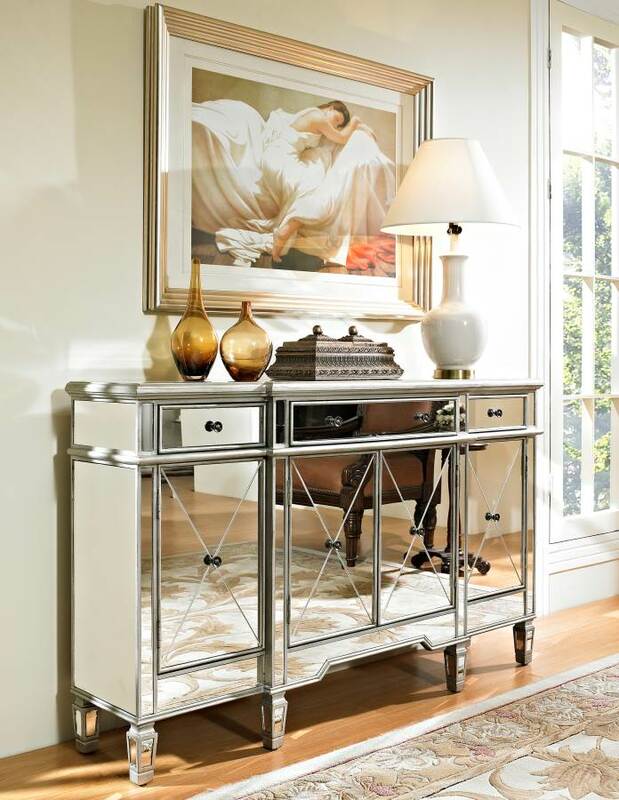 A mirrored 4 door credenza is a fabulous piece to add to any dining or living room to add a bit of glitz and glamour to the space. It is an easy way to add eye catching drama to your decor while also providing ample storage space. The decorative piece on the left has a mirrored finish with 4 doors and 3 drawers for storage. It is available at a leading retailer for $1,599.00. 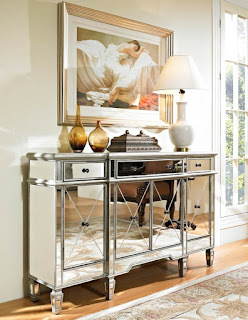 The striking credenza on the right also has a mirrored finish and has 4 doors and 3 drawers for ample storage. 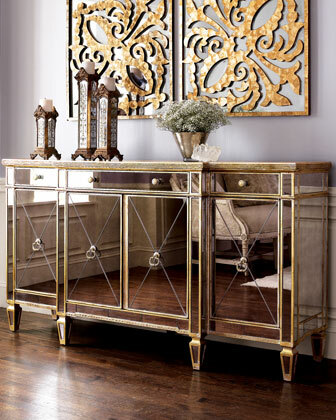 The credenza on the right is available at www.cheapchicdecor.com for only $699.00. It is not necessary to spend a lot to get the look you want. With careful shopping you can find a similar piece with the same look, for less money. Visit www.cheapchicdecor.com for more great looks for less.